Our first pack-meeting for 2018-19 is scheduled for Saturday Septebmer 22, 2018 and as has been our custom for the September event, this will be a family-oriented welcome-back cookout to which friends and family are invited including friends of the scouts who may be interested in learning more about Cub Scouts. The main event of the evening will be an age-appropriate version of the "Tough Mudder" for adults. 4:00p to 5:00p Campers Arrive/ Set up. Clothes and athletic shoes that are OK to get dirty; The kids will get wet and dirty! Lastly, we're going to need some help from adult volunteers to run some of the stations or go through the course with the kids. Den leaders will be looking for volunteers. All families are welcome to stay for the camp out (includes new scouts). Per BSA rules, Scouts are only permitted to sleep in tents with either their parents or other Scouts. 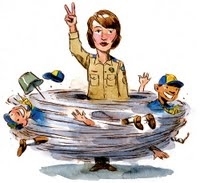 No Scout is permitted to sleep in a tent with any other adult other than their parent. This year our pack pool party will be August 29, 2018 8 PM to 10 PM @ the Tyler Walk HOA Pool. More info to follow!!! I hope everyone had a great time at the Blue and Gold Banquet. As promised, we are now taking registrations for Summer Camp. I can't stress how important it is for all Bears and Webelos to attend. Adults are not required for these groups. If you have any questions, please let me know. All Tigers and Wolves are also welcome to join. The program is equally adventurous for them. Each of my boys has attended camp since Tigers and look forward to it every year. Please submit an entry for each adult and scout attending. You will received a PayPal invoice to pay $100 deposit. Full payment is due in May. Please note there is a fee includes AFTER March 1st. Our Blue and Gold banquet is Saturday, February 10th! We are looking forward to awarding our scouts' achievements and spending the evening with all of the pack's families. For those who are new this year to Pack 99, this event is for the entire family and there is no charge for entry to the banquet. The pack is sponsoring the event, including the entertainment, venue, and entree-portion of the meal. The Fall Cabin Camping trip is fast approaching. This is a very popular event for the boys. The leaders have an action packed trip planned. 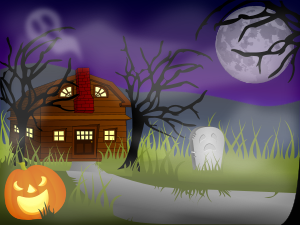 Since we will be using a cabin, this trip has very limited space. Webelos are getting first dibs on bunks space. The deadline for registration is Sunday October 15th. After the deadline, I will be opening registration to the Bears. 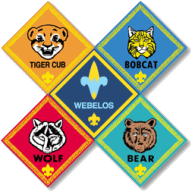 As with all our Webelos events, parents are not required to attend. Our space derby event will be this Friday Jan 27 @ Newtown Elementary School. We will have a staggered start time similar to what we do for Pinewood Derby. See below for the exact schedule. Please arrive at your assigned inspection time below. It is also your responsibility to read the rules and build parameters for your son's rocket. The official Pack 99 rules can be found here 2017 Space Derby Rules. Sand paper works best when shaping the rocket. Use coarse paper to take a lot of material off, then switch to a finer grain to fine tune. Since there are no power tools involved, there is no reason your son can't complete this entire project own his own. There will be prize for most creative, so please paint the rocket. DO NOT alter the length of the rocket. DO NOT increase the rockets width. You can decease the width. Only TWO rubber bands are allowed. Please bring the extra rubber bands for back up. Warm apple cider will be served. Please bring your own beverages if desired. Family & friends of Pack 99 are welcome! Our first pack-meeting for 2016-2017 is scheduled for Saturday 9/10 and as has been our custom for the September event, this will be a family-oriented welcome-back cookout to which friends and family are invited including friends of the scouts who may be interested in learning more about Cub Scouts. The main event of the evening will be an age-appropriate version of the "Tough Mudder" for adults. Parents we need your help with food! The pack will provide hamburgers, hot dogs and water/bug juice. Webelos I & II please bring side dishes. Bears and Wolfs please bring dessert. If you’re a new scout and would like to bring something to share, simply bring along a bag of chips. In addition, the pack meeting will be followed by a campout. Keep in mind all ranks requirements (expect Tigers) now require camping. The pack will hold campouts in September (tent camping), October (tent camping), and November (cabin camping). If you wish your son to receive rank advancement at the Blue & Gold Dinner in February, please plan to attend one of these fall campouts. More details on the timing of the event and how to be prepared will be shared soon! 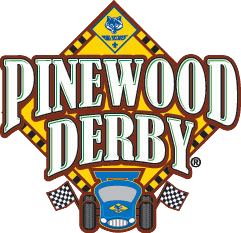 The 2016 Pinewood Derby will take place on Saturday, March 12th at Crossing Community Church from 1:00 - 4:00 pm. Please contact your den leader if you have not received your kit. Rules for the derby included here.